Billy Wins His First International RC390 Race in Malaysia. You are here: Home › Billy Wins His First International RC390 Race in Malaysia. 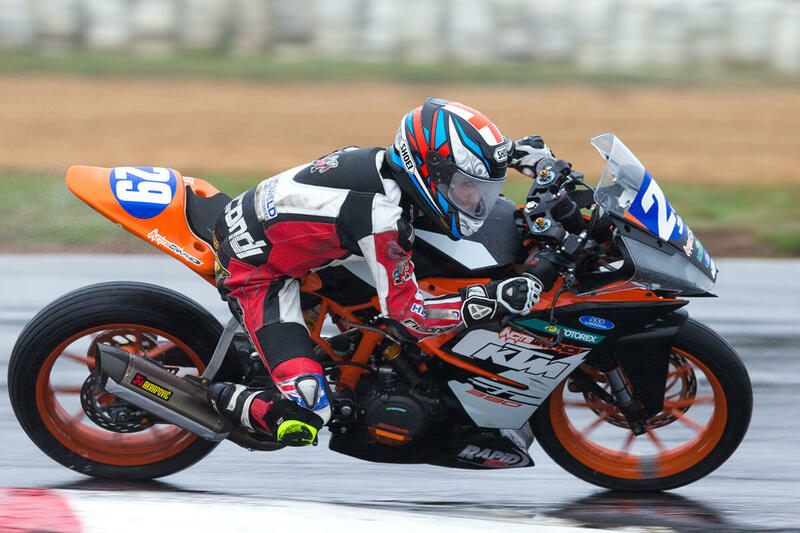 Born in Townsville and now living in Singleton, young 15 year old KTM RC390 pilot Billy Van Eerde got his international career off to a flying start when he won last Saturday’s third round of the KTM RC Cup at the famous Sepang circuit in Malaysia. The KTM RC Cup series consists of riders from Asia and Japan all competing on identical KTM RC 390 machines. Billy Van Eerde was Australia’s first representative in the Series. Racing as an invited wildcard, Billy blitzed his first race, winning by over two seconds from Malaysians M.Izam Ikmal Izamli and Ahmad Daniel Haiqal. The first-time-out win was even more special as Billy only had a half hour practice and a qualifying session and then went out to race against a field of seasoned local veterans on the Sepang circuit. On the Sunday Van Eerde lined up for the second race in pouring rain, his bike fitted with wet-weather tyres for the first time. On the fourth lap and in fifth place, Billy lost traction and slid off into the grass to spoil what could have been a perfect weekend. The RC Cup series, already established in Europe and the Americas, is attracting the next generation of aspiring road racing champions, and the Asian regional version is an opportunity for our young Australian riders, like Billy, to show how competitive they are on the world stage. 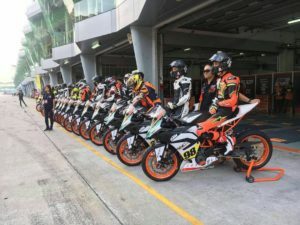 Thanks to KTM, the South-east Asian series could become particularly important for Australian youngsters who routinely get over-looked in the Red Bull Rookies Cup selection trials, held each year in Europe, with the organisers seeming to give unfair preference to the hoardes of Spanish youngsters, all desperate to make a name for themselves in the MotoGP arena. Van Eerde is hopeful of another invitation to compete at the fourth round of the KTM RC Cup series in September. In the meantime Billy will concentrate on the Australian Supersport 300 Championships, where is currently sits in the fourth place overall. 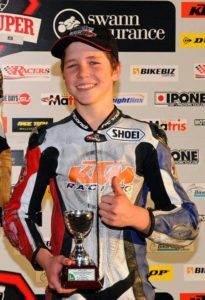 The Supersport 300 Championships, Australia’s own “Battle of the LAMS Bikes” is also proving to be a great stepping stone for our local juniors. On a KTM RC390 they can ride a bike with Moto3 DNA in it’s veins, a bike built with superior components, that is ready to race from the showroom floor. next post: MotoGP is Back After Summer Break with Only Ten Points Between Top Four Riders.